Do you purchase lots of frozen food? 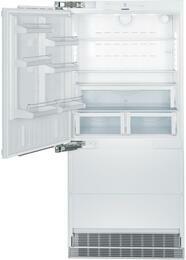 If so, you'll definitely want to view our popular selection of Bottom Freezer Refrigerators. Unlike Top Freezer Refrigerators, Bottom Freezer Refrigerators contain deep drawers that allow you to easily organize and stack your frozen goods. Reach down and grab your favorite gallon of ice cream, a few frozen burritos for a late lunch or a bag of frozen bananas for a delicious and health smoothie. 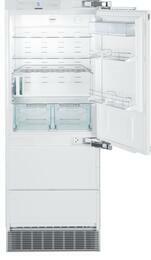 Whatever your frozen needs are -- a Bottom Freezer Refrigerator can solve them! 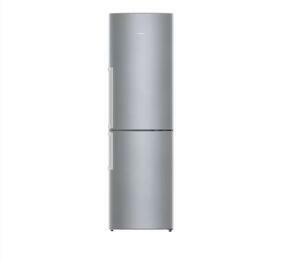 Shop Appliances Connection for the best selection of new Bottom Freezer Refrigerators. We offer daily deals on top brands such as Maytag, Kitchen Aid, Samsung Appliance and LG. For more information on Bottom Freezer Refrigerators, check out our Refrigerators Buying Guide, or contact our helpful team of experts on 1-800-299-9470. Get Free Side-by-Side install kit with the purchase of both CBS-1360/L and CS-1321/R. Purchase any 30 inch Blomberg Range and any 30 or 36 inch Blomberg Refrigerator and receive a FREE Blomberg Model DWT52600SSIH Dishwasher at time of purchase or upgrade your dishwasher at substantial savings. *This is an instant savings promotion, no mail-in rebate required. For more details please see rebate form.